SABC News and SABC Encore will continue to be broadcast on DStv, thanks to a new deal that was announced on Tuesday. The previous, R550m contract – which had drawn extensive criticism – had been due to run out within days. Speaking to SABC News, SABC Group CEO Madoda Mxakwe said the new agreement had been signed on Tuesday morning and would provide more clarity for both viewers and staff. "On behalf of the board as well as management we welcome this because it will bring certainty to our viewers as well as to the staff," he said. There would also be more certainty over job security, he added. "But what I think is important is that this deal actually meets our needs in terms of commercial as well as the governance point of view," he said. Asked why the negotiations had taken so long, Mxakwe said it was "important to get it right". It had also been necessary to cover all the governance issues, he said. Asked whether criticism of the previous deal had complicated the new deal, Mxakwe did not wish to give details, saying the information was "commercially sensitive". He did, however, say it was a "clean" deal with "good governance". Archived materials remained in the control of the SABC, he added. Mxakwe said the SABC still had ongoing "liquidity challenges", but committed to continuing payments for suppliers that were owed money. The SABC would become a financially viable organisation, he said. Days ago, both SABC and MultiChoice told Fin24’s sister publication Channel24 that discussions were still ongoing, and that SABC News and SABC Encore would stay on the air on DStv for the time being. 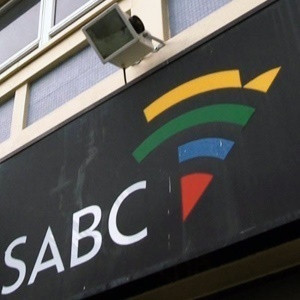 Although SABC News and SABC Encore use content from the public broadcaster, they have not been available on other satellite platforms, unlike SABC1, SABC2 and SABC3.